My name is Alexandra. I am a dentist with many interests in books reading, travelling and arts such as painting or movies. 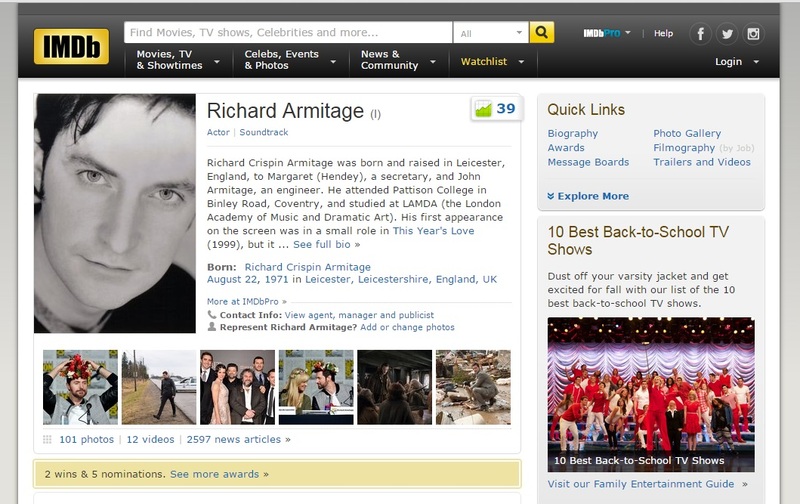 This is a blog (unofficial website) dedicated to the British actor: Richard Armitage. Thank you for liking my blog! No, I’ve never met Richard nor do I have any personal or professional links with him, apart of being part of his fandom. I am a very elderly senior but I love your blog about RA. Thank you so much to take the time and effort it must take to do this.